We love to let you know about the many and varied activities that go on in school, and that's why we want to make it even easier for you to get the information we post here. By email - simply type your email address in the box on the right and click subscribe. Then whenever a new entry is posted you will receive an email to keep you up to date. By RSS - If you use a feed reader, such as Google Reader, you can subscribe via RSS. Just click the Subscribe in a reader link on the right to get started. Please subscribe to our posts so you don't miss any of the exciting things that happen, and keep up with any last-minute notices. Just a short reminder that children return to/start school on Monday 6th September. 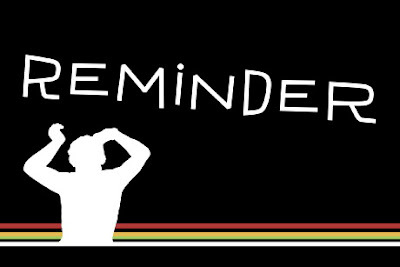 Wednesday 1st, Thursday 2nd & Friday 3rd September are all Professional Development days for staff. The school office will be open during these dates should you require any information. We hope that you are all continuing to enjoy your holiday! At the end of term, our two Road Safety Officers took to the road with the traffic police to help prevent speeding and improve the safety of our local roads. 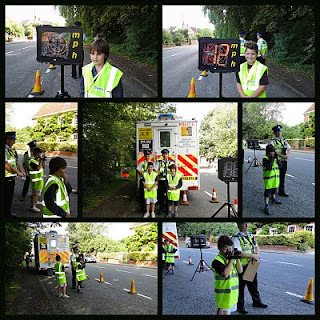 They had an opportunity to use a hand-held speed camera on the A1120 beside the school. Their presence seemed to have the desired effect as all the motorists they observed kept carefully to the speed limit. Great job, boys! On Monday 19th July we held the first Earl Soham School Open Evening. There was a wide range of singing and dancing, gymnastics and yoga displays and instrumental performances from individuals and small groups. These performances saw every child in the school participate during a 'rolling' programme in front of an ever-changing audience. In the classrooms there was plenty of work on show. This covered so many of the areas which the children have learnt about which enabled parents to look and see what children throughout the school had done over the course of the last year. The evening was a great success, with parents, grandparents and ex-pupils among those enjoying an evening of great variety. Here are some of the highlights.